In 2017, the utilization of robotic-assisted surgery had grown 10–40-fold relative to laparoscopic surgery in common general surgery procedures. The rapid rise in the utilization of robotic-assisted surgery has necessitated a standardized training curriculum. Many curricula are currently being developed and validated. Additionally, advancements in virtual reality simulators have facilitated their integration into robotic-assisted surgery training. This review aims to highlight and discuss the features of existing curricula and robotic-assisted surgery training simulators and to provide updates on their respective validation process. A literature review was conducted using PubMed from 2000–2019 and commercial websites. Information regarding availability, content, and status of validation was collected for each current robotic-assisted surgery curriculum. This review did not qualify as human subjects research, so institutional review board approval was not required. The daVinci Technology Training Pathway and Fundamentals of Robotic Surgery are purely web-based and self-paced robotic-assisted surgery training. 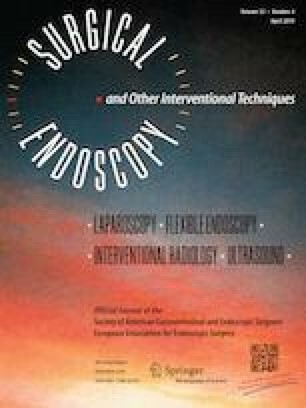 The Society of American Gastrointestinal and Endoscopic Surgeon Robotic Masters Series, Fundamental Skills of Robot-Assisted Surgery training program, and the Robotics Training Network curriculum require trainees to be on site in order to provide expert feedback on surgical techniques and robot maintenance. Currently, there are few virtual reality simulators for robotic-assisted surgical training available on the market. Didactic courses are available in all of these training programs, but their contents are inconsistent. Furthermore, the availability and nature of hands-on training offered by these curriculums are widely variable. We would like to acknowledge and give special thanks to Drs. Sarah B. Bryczkowski, Rana Higgins, Peter M. Santoro, Daniel B. Jones, Makram Gedeon, and Rodolfo J. Oviedo, for their help in editing this manuscript. Funding for this study was provided by the Center for Advanced Surgical Technology at the University of Nebraska Medical Center. Dmitry Oleynikov is a shareholder of Virtual Incision Corporation. Richard Chen, Priscila Rodrigues Armijo, Crystal Krause, and Ka-Chun Siu have no conflict of interest or financial ties to disclose.